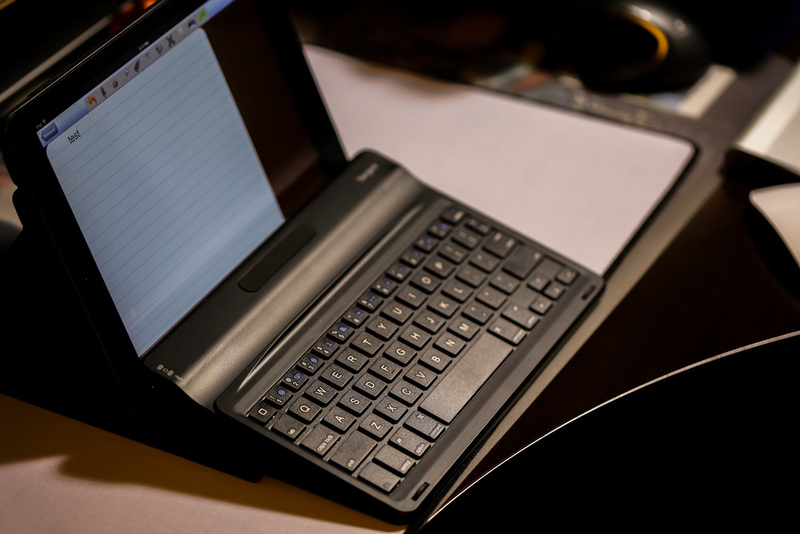 The above is a pic of the iPad Air 2 with a Targus Keyboard case. 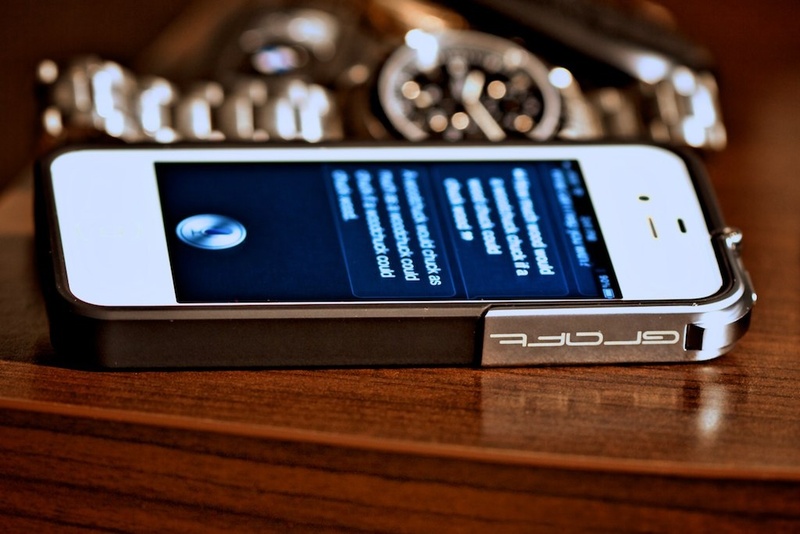 However, I mainly use it with the Apple Leather case. I have had it for several months and couldn't be happier with it. I mainly bought it to move from a 32GB to a 64GB version, but it is a huge upgrade in every way to the iPad 3. I still have the 3 available for using around water with the Lifeproof case, but I can feel the trade offs every time I pick it up. I also have the cellular version of the 3, so that can be useful since I didn't go that route with the iPad Air 2. See my impressions after a week of use here. When I bought an iMac back in 2011, I didn't get the SSD because of Apple's high pricing for the feature. 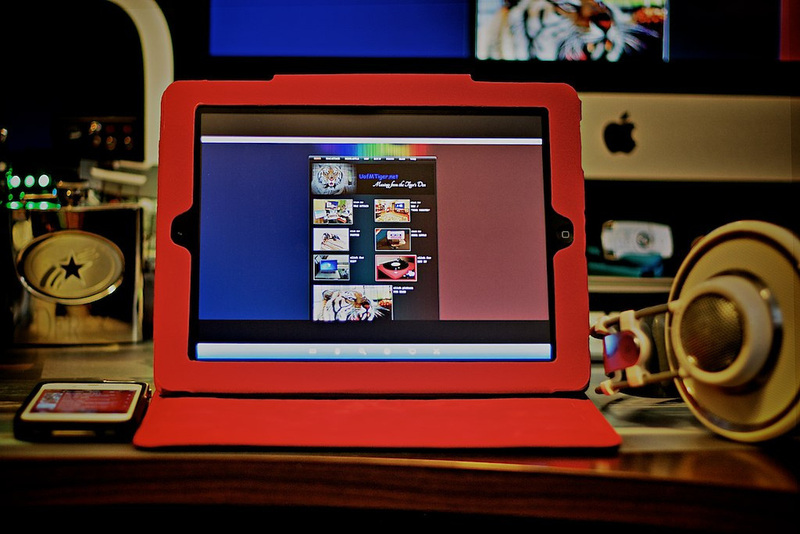 Before 2011, one of the knocks against the iMac is that you could't upgrade it very easily. Thanks to the thunderbolt port, it was easy to update the iMac to SSD. See the article here. I have been hearing about how having an SSD can change the usefulness of a laptop. I decided to remove the optical disc from my MBP and put in an SSD. True to the articles I have been reading, it has improved the speed by a wide margin. 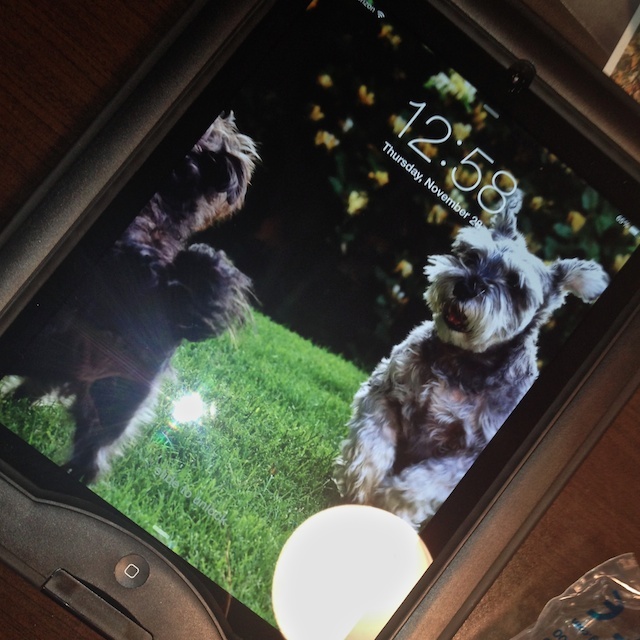 I have an iPad 3 and I bought a Lifeproof case so that I could use it in the water. I posted my initial thoughts here. I plan on updating to a new iPad in 2014 and I wanted a way to use the iPad 3 in the hot tub and while lounging in the pool. The case is perfect for this purpose. I also got a "Portfolio Cover" for it that is similar to the covers that Apple sells. However, the magnets don't seem strong enough to hold it in place. It does still work to turn on and off the iPad, like the original cover, but I wouldn't recommend leaving the iPad on because the cover could come loose and burn up your battery power. I noted my first impressions here. 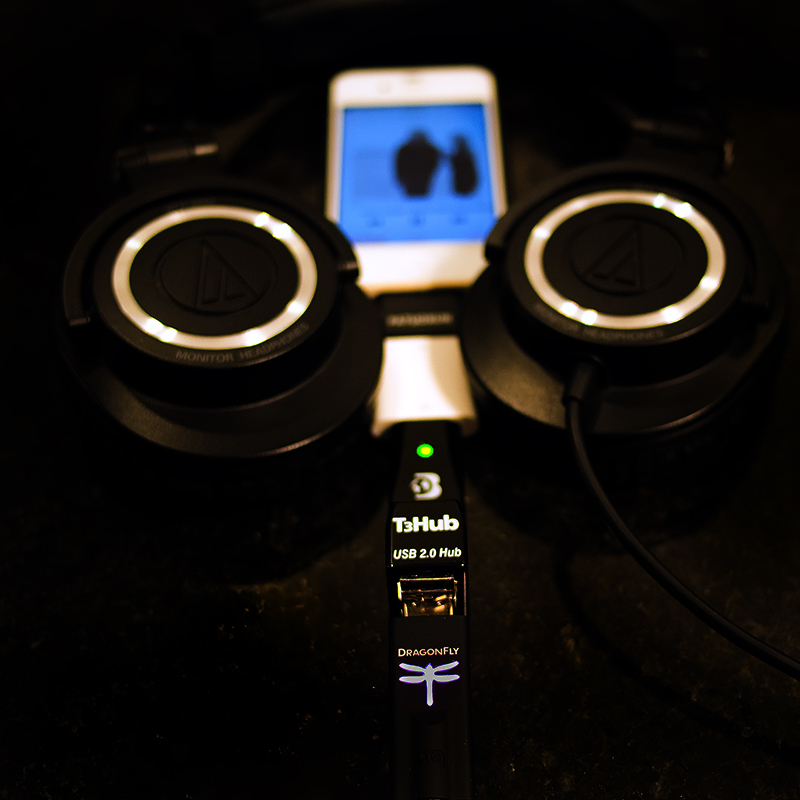 The Dragonfly is a DAC that you connect to a laptop and it a pair of headphones or an amp and it makes your audio sound great. 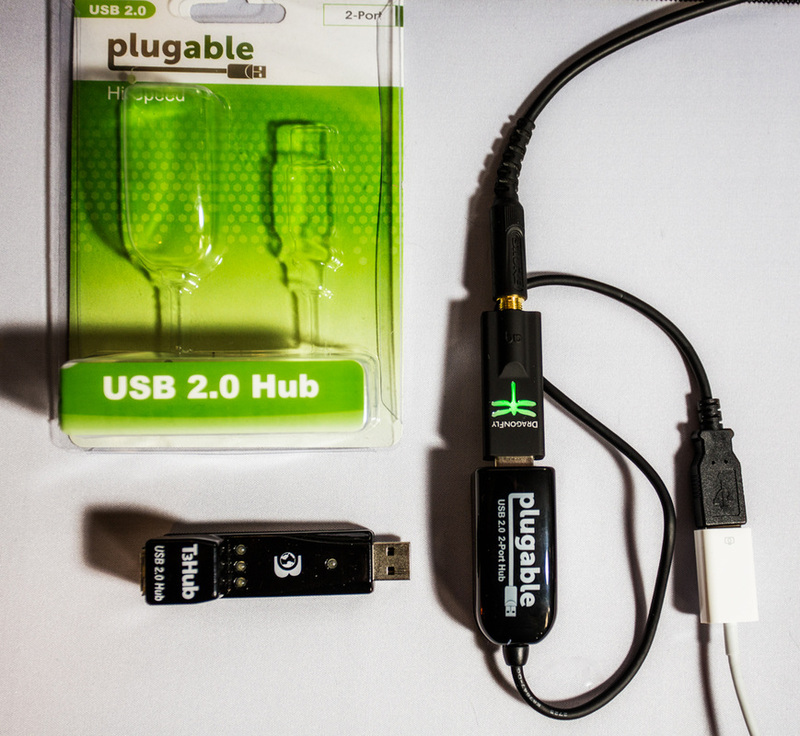 I also attached it to an iPhone 4S, Camera Connection Kit, and a T3hub (acts like a USB powered hub) and it sounds great. The little dragonfly symbol changes colors depending on the source resolution that is used. The best part is that it was selling for $250 and is now on sale for $99 since they have a new version coming out. I have had small speakers with a T-amp, a Bluetooth speaker, and now a Phillips Airplay speaker in my kitchen. 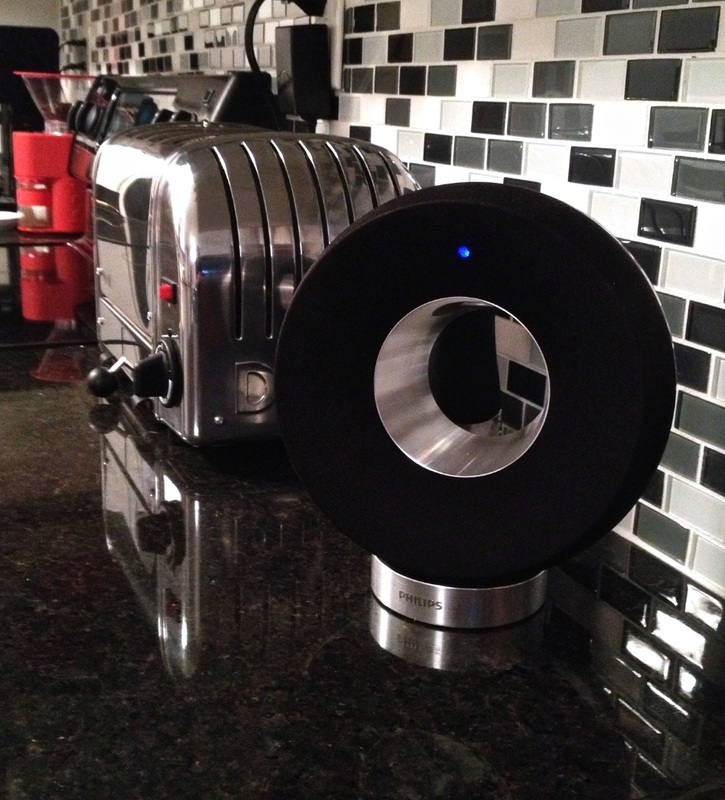 This donut (mmmmm donuts...) shaped speaker can run off of batteries, which is convenient. However, I mainly wanted the Airplay feature since it has an always on connection that makes it aways available when I am on my wifi network. I also like the small footprint and they way it looks. I got it from Walmart because they had a refurbished speaker that was half the price of a brand new speaker. I bought a new case for my iPhone to use during the summer and on trips. You can read more about the case on my blog. Note: The red case (which is black on the outside) is something I bought to house my new iPad until I could decide what I want to use as a permanent case. I am leaning toward an Apple Smartcase since it is easily removable, which could come in handy for photos. I may also get a hard shell for the back of the iPad, but I am waiting for shells that fit perfectly rather than the iPad2 shells most people are selling right now. Despite some reservations, I replaced my aging 3GS with a new model. As I mentioned in my blog, I mainly wanted the new camera, faster speeds, and Siri. I also got a new case. So far, I am pretty happy with the 4S. I got the AT&T plan that will allow it to be setup as a hotspot and that will definitely be beneficial when I want to use a laptop or iPad when we are somewhere without wifi. I also like the airplay mirroring. For example, I have a Slingbox in the bedroom that is hooked up to the Directv box. This allows me to stream the Slingbox signal from my phone to the Apple TV in the living room. The only issue is that it does not fill the entire TV screen, but it will work in a pinch. I also tried Angry Birds and it shows up on the screen while you control it with the iPhone's touchscreen. While I have a page for my Macs, I thought I would devote a separate page to show how Apple products are used in other rooms with other devices. The pic to the left is my main system in the living room. Luckily, it shares a wall with my office, so I can run cables between the two systems. This allows the Mac Mini (2010) to have a HDMI cable running from the office to this setup. It also allows the EyeTV HD to be in my entertainment center while being hooked up via USB to the mini. This is the main controller of everything in the living room. It has two HDMI outputs, so I have one going to the display in the pic and another going to the 42 inch display in the office. The Denon has Airplay built in, so if I want to listen to music with the plasma off, I can just pic the song on my iPhone or iPad with the "Remote" software and chose the Denon as the output. The pic to the left shows the Airplay screen that shows up if the TV is on. The setup also has a jailbroken AppleTV2. I use it for watching movies, youtube, and podcasts. 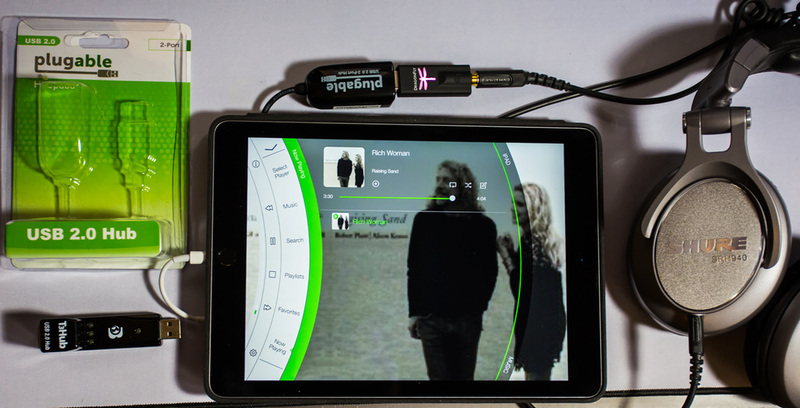 It is also great for Airplay with video, photos and music. I utilize Apple products in the bedroom, too. I have another jailbroken AppleTV2 for this room that I use quite a bit. I use this one pretty much the same way as the ATV2 in the living room. It is hooked up to a Denon receiver, too. However, this one is the 3808ci, so it does not have Airplay built in. Next to the bed, I have a headphone setup, but it does a few things. I used to hook up the iPad to it directly via a camera kit, but I mainly just use Airplay to send an audio signal to an Airport Express that is attached via digital optical to the Little Dot DAC. 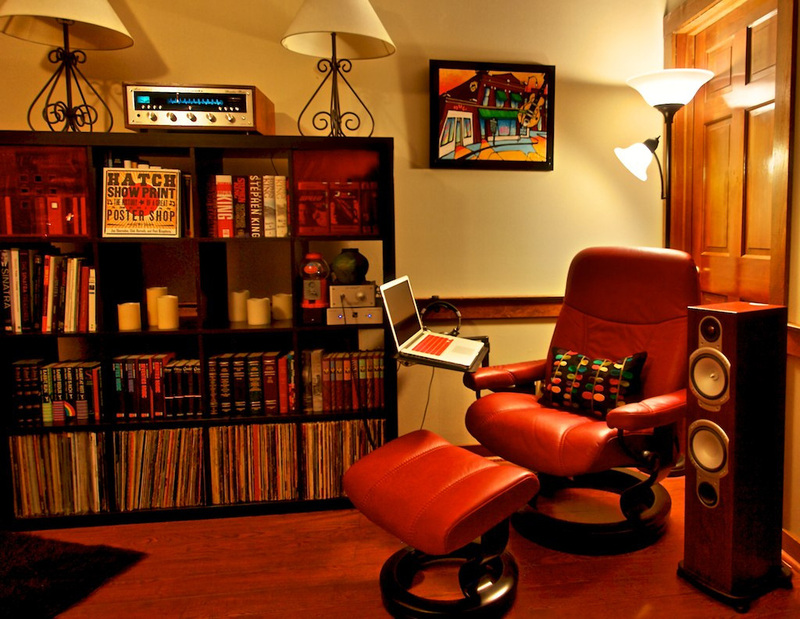 This setup actually feeds two other areas music. The Little Dot DAC has two outputs, so one goes to the Little Dot MKIII headphone amp and the other goes to the Denon setup above. I like the sound from the DAC, so I use this for music more often than the ATV2. 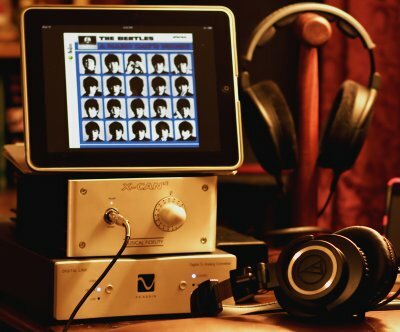 The MKIII also has analog outputs and those feed another headphone setup in the room. This allows the use of headphone when I am sitting in the chair next to the TV. I have a first generation iPod Touch that has been sitting in a drawer for a couple of years. However, I bought a Pure i20 Dock that has a pair of 24/192 DACs so I could hook it up in the kitchen. It feeds a Super T-amp and a pair of Radio Shack Presidian speakers (I replaced this setup with the Phillips speaker above, but I now have this hooked up in my home office). My car likes Apple, too. I have a 160GB Classic that I use in the car. The car has a iPod USB input, so it will navigate my music collection on the screen or through vocalization (you can just tell it the artist/album you want to hear. It also has bluetooth audio, so I have a proclip mount for my iPhone. I can start MOG/Pandora or any other audio and it will play it over the car's speakers. This allows me to choose between satellite, regular radio, HD radio, the iPhone, or the iPod Classic for entertainment. 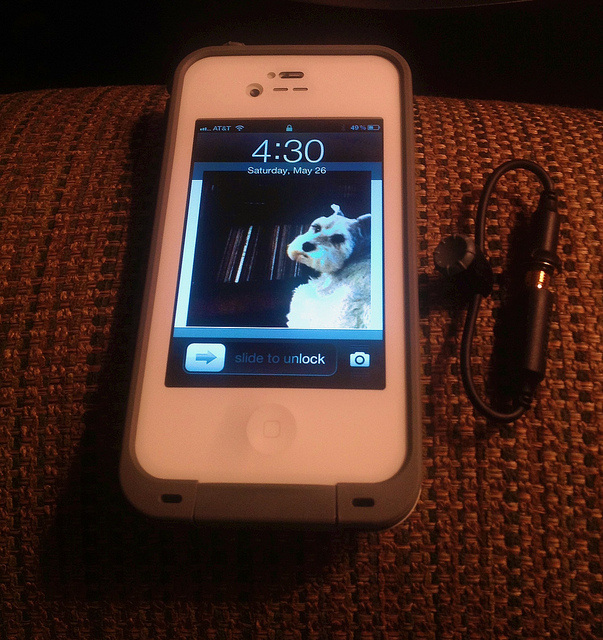 You can plug the iPhone into the iPod input and it will show Pandora stations and album art on the screen. It also has web radio, Twitter, and Facebook feeds that it can interact with. I rarely have the phone plugged in, though. They are rumored to be adding a MOG interface (update: MOG has been updated, so I now have my 160GB Classic unplugged and usually just dock my iPhone), so at that point I may unplug the Classic more often, but it really isn't necessary with bluetooth playing the music without any issues. With bluetooth, you don't get album art, but it will allow the user to go to the next or prior song using the steering wheel controls. I have a pic of the chair that I use with this setup below. However, to the left is the actual setup. I usually use an iPad/iPhone to control the music with the Apple Remote app that plays iTunes music from a mini or I stream MOG via Airplay. The headphone setup has an Airport Express attached. 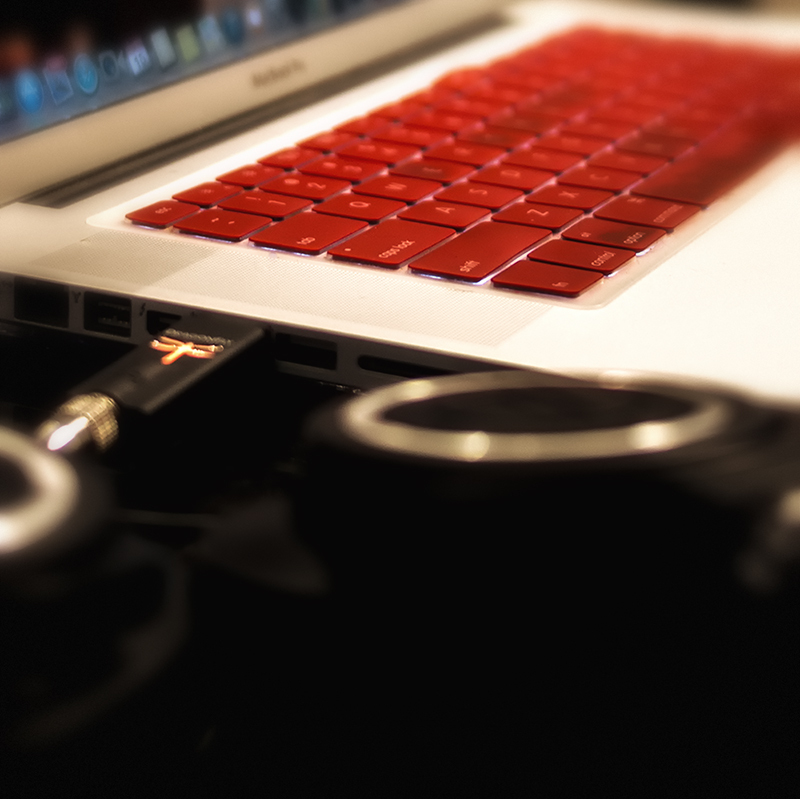 Therefore, I can send it music with a MBP, iPad, or iPhone 4S. 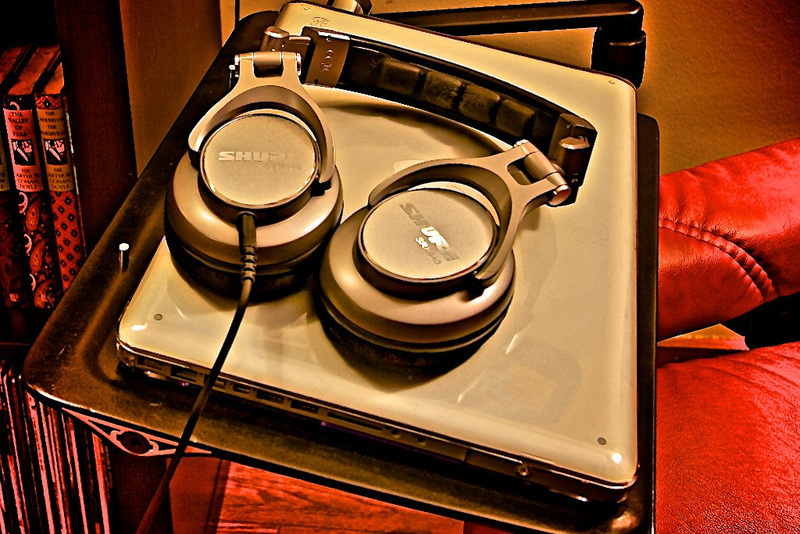 I have also added Shure SRH940 headphones to the setup. Of course, with the iPod, you have a lot of options for when you are away from home. I have a pair of Ety ER-4P in-ear phones for isolation on airplanes and other times I want to be quiet. I also like to take Grado SR60 headphones when I am on vacation since it allows me to hear what is going on around me. Anything you plan on adding?